During the visit to Strasbourg, Minister Timo Soini will have discussions with Secretary General of the Council of Europe Thorbjørn Jagland and President of the Parliamentary Assembly of the Council of Europe Liliane Maury Pasquier, for example. Minister Soini will also speak at an event organised to celebrate the 20th anniversary of the Office of the Commissioner for Human Rights. The main task of the Commissioner for Human Rights is to monitor the implementation of human rights obligations in the Member States. 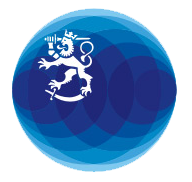 The Commissioner's Office was established on Finland's initiative in 1999. Finland holds the Presidency of the Committee of Ministers of the Council of Europe until 17 May 2019. The Presidency started in November and will culminate in a foreign ministerial meeting in Helsinki in May. In spring, the Presidency will organise several conferences in Finland, concerning artificial intelligence and human rights, the rights of women and the Roma, and democracy education, for instance. More information about the visit: Miia Rainne, Diplomatic Adviser to the Minister for Foreign Affairs, tel. +358 50 434 5444, and Merja Lahtinen, Desk Officer, tel. +358 295 350 971.